Tuesday, March 8th was International Women’s Day 2016 and the entire world including Dominica rallied support for the call for gender equality. In the days leading up to Tuesday’s observance, international, regional and local gender advocacy groups called forward thinking people of both sexes to wear the colour, purple. 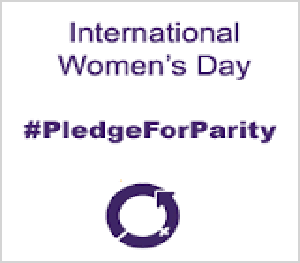 This year’s global theme was Pledge for Parity calling on men and women to take urgent action to accelerate gender parity or equality. The Dominica National Council on Women used the observance to thank those who have been making women’s needs priority. Meantime, Executive Director of UN Women, Phumzile Mlambo-Ngcuka in her statement drew attention to the inclusion of women in the 2030 agenda for sustainable development. She sees progress in that regard since Governments unanimously reaffirmed the Beijing Platform for Action- an agenda for women’s empowerment. The Bureau of Gender Affairs called on the general public to take action for International Women’s Day 2016 by participating in the DA Women Rock Purple campaign. Kerdisha St. Louis was part of that activity. Watch the full report here.